Affordable Mac refurbished products go through a strict testing process. The condition is very good, may have some light scratches on the case. They come with a 12 Month Warranty and include the charging cable only (no headphones or USB Plug). With a quick glance at the iPod touch 6th Gen models and the previous iPod touch 5th Genmodels, it would be easy to confuse them for one another, but the iPod touch 6th Gen is a very different beast internally. 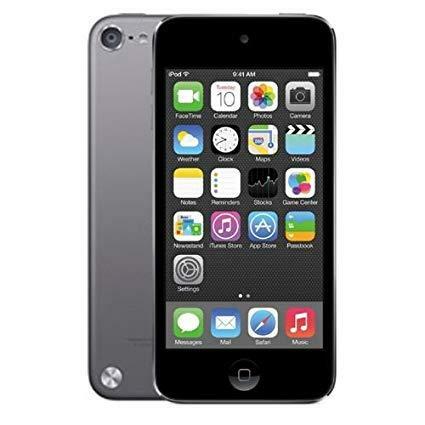 The iPod touch 6th Gen models each have a 4″ (diagonal) widescreen multi-touch IPS “retina” display with a 1136×640 native resolution (326 ppi), dual cameras — an 8 megapixel rear “iSight” camera with LED flash that can shoot 1080p video and a front-facing 1.2 megapixel “FaceTime HD” 720p camera — and support for Bluetooth 4.1, and 802.11a/b/g/n/ac Wi-Fi in addition to the expected AirPlay, Siri, music, photo, video playback, and iOS app functionality. Internally, this model is powered by a 1.1 GHz dual-core A8 processor and it has 1 GB of RAM and 32 GB of flash storage . The iPod touch 6th Gen models use aluminum “unibody” cases available in six different color choices — a dark “space gray,” gold, silver, hot pink, blue, and red. The “space gray” option has a black glass front whereas the other five color options have white glass fronts.